Ahoy Matey! 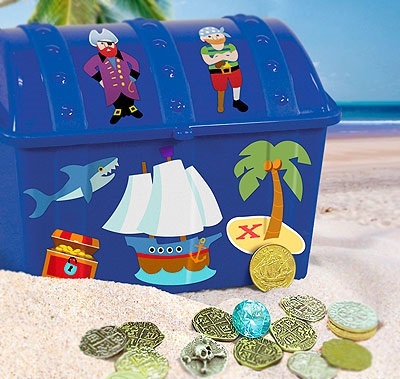 These Pirate peel and stick cut outs are something your kids will really treasure! They'll love creating adventures with buried treasure, palm trees, pirates, and gigantic ships ready to sail the high seas! - Fourteen pieces ranging in size from 8.75 inches to 1.5 inches.